For those of you who have followed us for a while, you know that the first goal of UNC was to feature awesome Utah nail technicians. That is where we live, and that was the first community we focused on building. We started a hashtag that was original to our business. We encouraged those who followed us to use the hashtag so we could feature their photos! Search #uncnailtech and you will be bombarded with amazing nail designs by mostly Utah nail technicians. When you are focused on everyone else’s instagram pages, you sort of get a sense of things that work, and things that don’t. 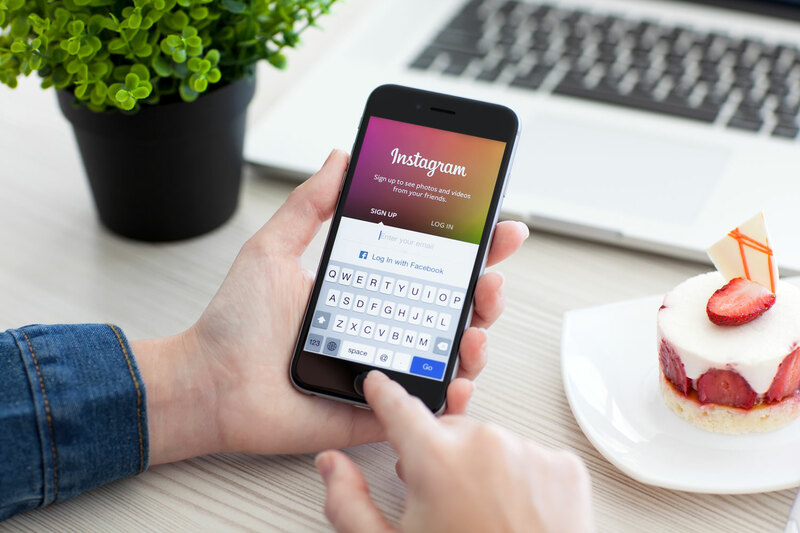 Here’s OUR list of ways to help your instagram page POP and your amazing nail art stand out. Make a NAILS ONLY profile! Make your profile space work to your advantage. Step one: make a NAILS ONLY profile! Have you ever been searching through someone’s page for an amazing set of nails they’ve done, only you can’t find them because there are too many pictures of other things? Dogs or kids or trees, or selfies? Listen, we are all about the selfies, and they have their place on a nail page. But if you want to promote your NAIL business, sticking to photos that are mostly nails is a good place to start. Save your selfies and breakfast pics for your personal account. This also makes it easier to set your profile on PUBLIC. Step two: Make your profile space work to your advantage. You have 150 characters to tell the world who you are and what you do. — USE IT! Do you know how many nail pages we come across that don’t even state their name, WHERE THEY LIVE, or what products/brands they use? Use this space to let that random person who finds you know where you are! It can be as broad as a state or county, or more limited to a city or area. Ok, so you’ve just finished an amazing set of nails, you take your pictures, then send your client on their way. How many of you have gone back to post those amazing photos to find out that – oh no! They aren’t that amazing and you can’t even see the nails!! I have been there and done that. Sarah has posted a video on her youtube that you can find HERE about how to edit your photos on Instagram to make your work look spectacular. While you’re there, there are a few other videos that pop up on the side that are worth the time it takes to watch them. There’s also a great article on photographing nails that So Nailicious posted HERE. Take the time to watch/read and up your photography levels. Don’t forget to PRACTICE and keep going until you find a pose and a formula that you’re happy with. Probably one of the most important pieces of advice we can offer is to put your name on your photos, or take your photo on a mat with your logo printed on it. Some people are ruthless, and if they can pass off your photo as their own, they will. Make sure that your instagram name or website can be seen easily and not cropped off. Apps such as Pixlr, Phonto, or Word Swag are great, but there are many out there. Try a few out and find one you love, because you should use it for every post! There’s an article with a list of great ones HERE and HERE. Now, we’re not saying you have to have a new photo up every hour, and we’re also not saying you need to do bulk posts either. But have you ever been really excited about someone’s work and gone to visit their page the next day, or next week even, to find that there aren’t any new photos? It’s soul crushing!! Once a day, or even a few times a week is great for posts. Do what you can! But try to stay relevant. Instagram has this really cool option now called MY STORY where you can post things that won’t stick around. Don’t be afraid to post a video or two of you working! People love to see other tech’s work spaces. And I personally could watch nail art videos all day long if I had the option. #nailtechlife #likeaboss #utahnails #801nails #kaysvillenails #daviscountynails For real – did you know you can hashtag anything? It’s great to post ones that are relevant to your pictures, but make sure you use ones that people would use to find your photos! If you want more followers, using relevant and highly searched hashtags are a great place to start. These are just SOME tips to help you in your quest to insta-fame! Keep perfecting your talents and posting those beauties, friends! You’re all amazing!